Alice (Mia Wasikowska) is working very hard to keep her father’s shipping company together, but things aren’t going well. Things seem doomed after her mother (Lindsay Duncan) signed over their shares to Alice’ former suitor Hamish (Leo Bill). 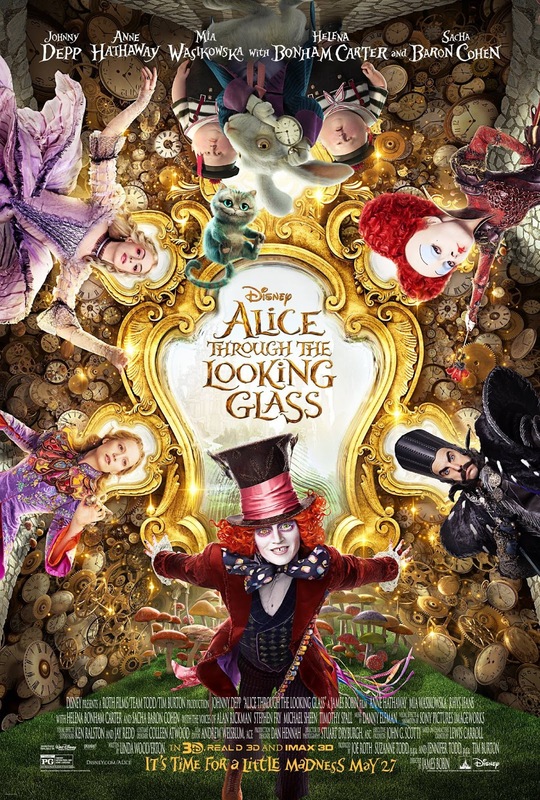 It is just then that bad news reaches Alice from Wonderland and she sets off there to help the Mad Hatter (Johnny Depp) who hasn’t been himself. In fact, he seems to have crossed the line into absolute madness, believing firmly that his family isn’t actually dead, but can still be brought back. Reluctantly Alice agrees to help by speaking to Time (Sacha Baron Cohen) and trying to get to the chronosphere which would help them clear matters up. 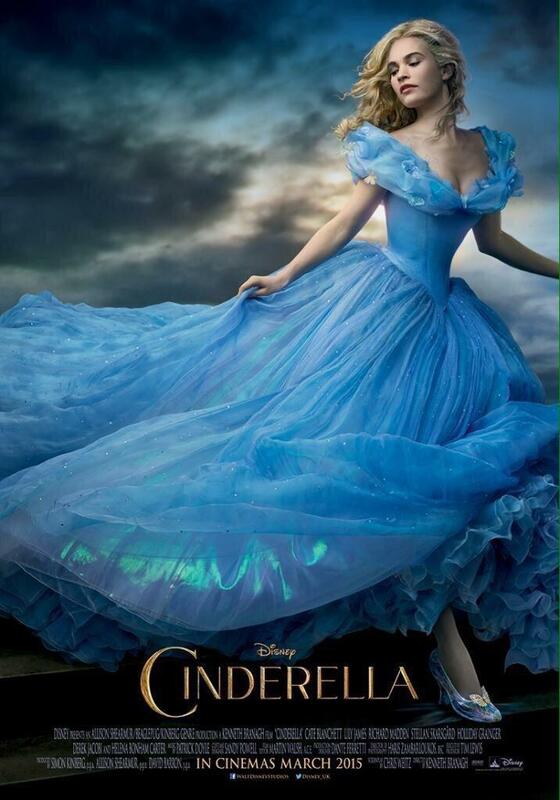 But things get more complicated when it becomes obvious that the Red Queen (Helena Bonham-Carter) is also involved. The first Alice film wasn’t particularly good, though I did enjoy watching that cast in that production design for the most part. That’s why I figured I would give Alice Through the Looking Glass a try as well. Unfortunately, it was even less convincing than the first film. T.S. (Kyle Catlett) is a scientist, despite his young years. And he just invented the closest thing to a perpetual motion machine that humanity ever managed to built. For that, he is supposed to be honored at the Smithsonian. Only that they don’t know that he is only 10 years old. 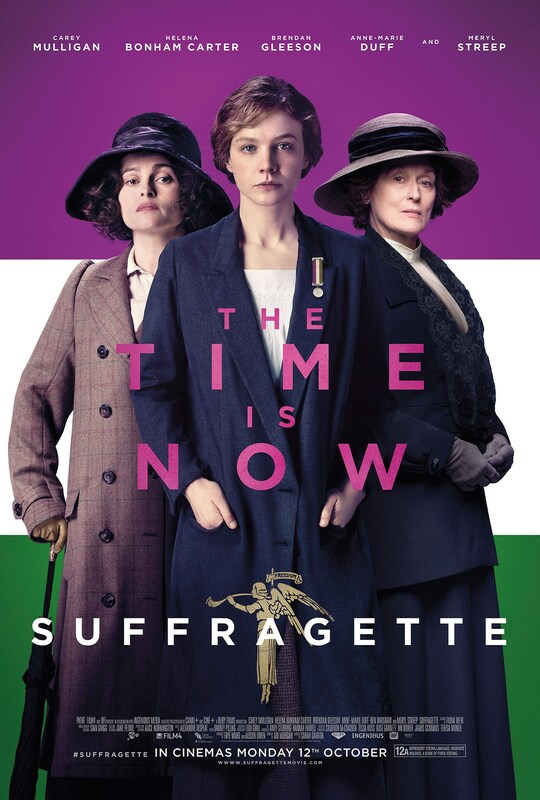 Since T.S.’s family life is complicated – his mother and fellow scientist (Helena Bonham Carter) is completely occupied with her work, his father (Callum Keith Rennie) is a cowboy and farmer who doesn’t really know how to connect to T.S., his sister Gracie (Niamh Wilson) is an overdramatic teenager dreaming of an acting career and his twin brother Layton (Jakob Davies) just died – he decides to travel to the Smithsonian on his own to receive his award. But crossing practically an entire continent from the West to the East is not easily done. The Young and Prodigious T.S. 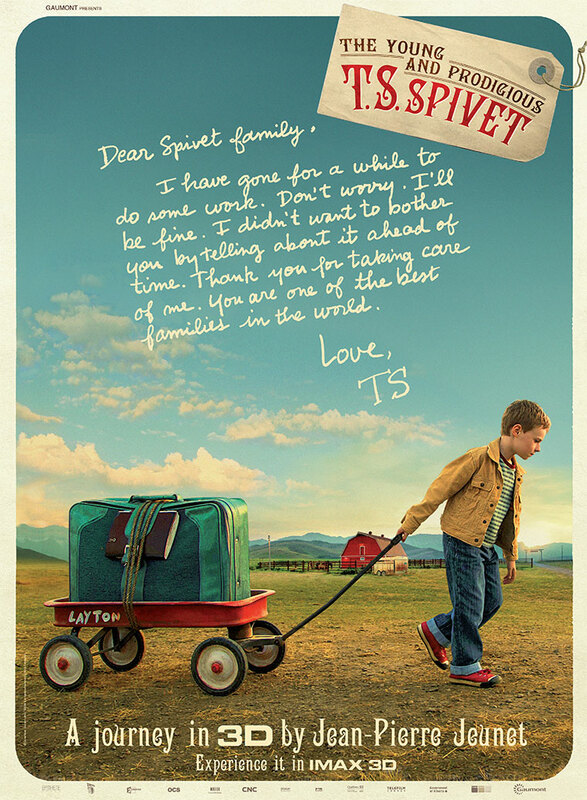 Spivet is a wonderful film. Great characters, touching story, beautiful images, quirky aesthetic and sense of humor. I loved every second of it. Jean Valjean (Hugh Jackman) has just been released on parole after years in the galleys for stealing some bread. 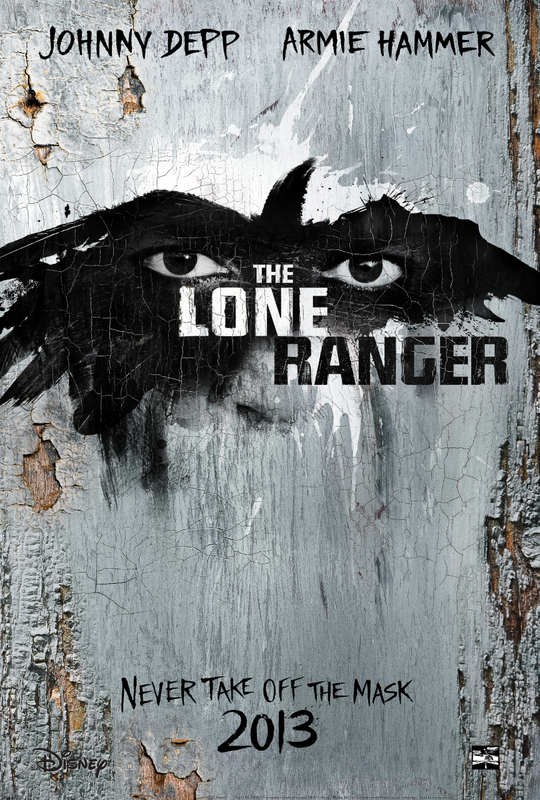 Police inspector Javert (Russell Crowe) doesn’t really want to see him go as he doesn’t trust in his rehabilitation. And he almost seems to be right – as Valjean takes the frist chance he gets to steal from a priest (Colm Wilkinson). But when said priest shows him mercy, Valjean takes the chance to build a life for himself, though skipping parole. Years later, he is a successful factory owner and mayor, when Javert comes to his town. At the same time, Valejan gets drawn into the life of one of his factory employees, Fantine (Anne Hathaway) and her little daughter Cosette (Isabelle Allen/Amanda Seyfried) and decides to help her. 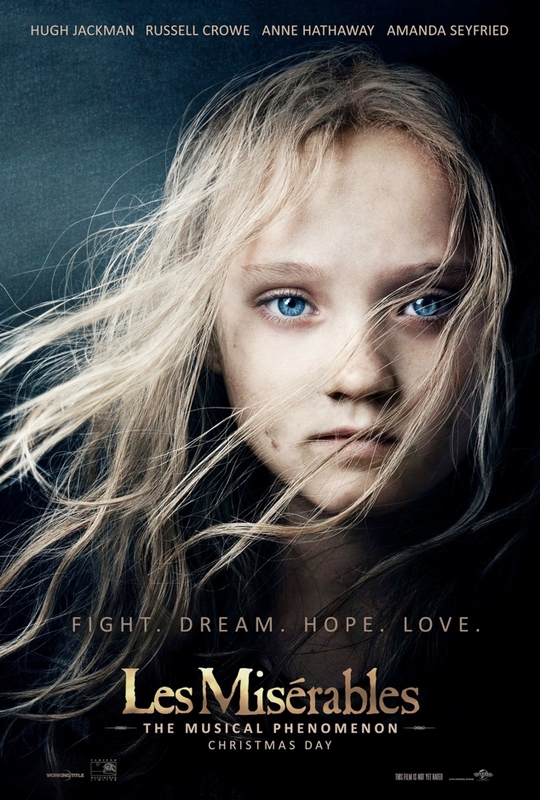 Les Misérables is pretty epic, as can only be expected from a musical based on a Hugo novel. And while the cast mostly does very well with the epicness, neither Tom Hooper nor cinematographer Danny Cohen were up for the task. 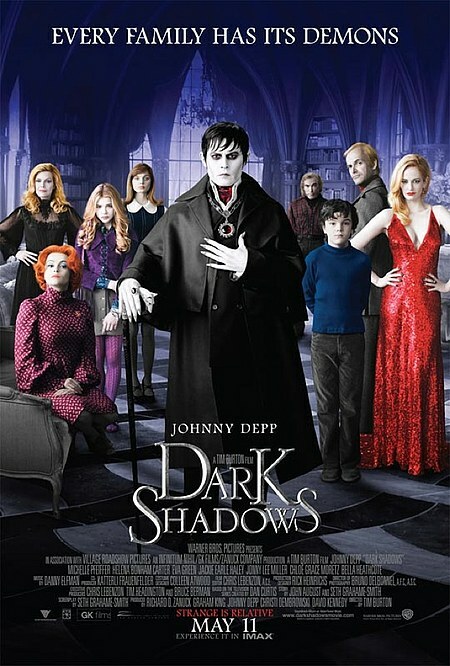 At the end of the 18th century, Barnabas Collins (Johnny Depp) and his family emigrate to America, where they build up a town and acquire a lot of wealth. With them came Angelique (Eva Green) and her family as servants. Angelique falls in love with Barnabas. But when he tells her that he doesn’t share her feelings, she gets so angry that she curses him to be a vampire, kills the woman he loves and buries him for almost 200 years. In 1972, Barnabas is freed and returns to his family – or what remains of it. But also Angelique is still there and ready to pick things up right where they left them. I was not one of the people bemoaning yet another Tim Burton/Johnny Depp collaboration – I usually like when they work together and the trailer for this film looked perfectly charming. 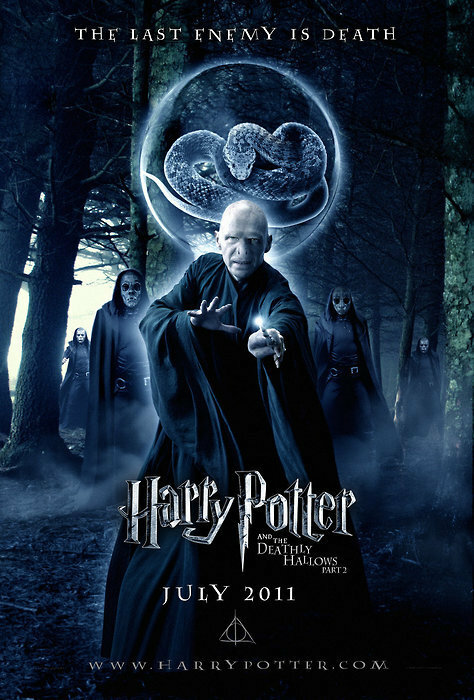 But unfortunately the film was very disappointing. Toast is a movie by S.J. Clarkson, based on Nigel Slater‘s memoir, starring Freddie Highmore, Oscar Kennedy, Victoria Hamilton, Ken Stott and Helena Bonham-Carter. Young Nigel’s (Oscar Kennedy) mum (Victoria Hamilton) has an aversion towards fresh vegetables and a seemingly general inability to not burn food (except toast, that is). This makes Nigel extremely curious of everything when it comes to food. So when his mother falls sick, he asks her to teach him how to make mince pie, which she does shortly before she dies (making food even more special). 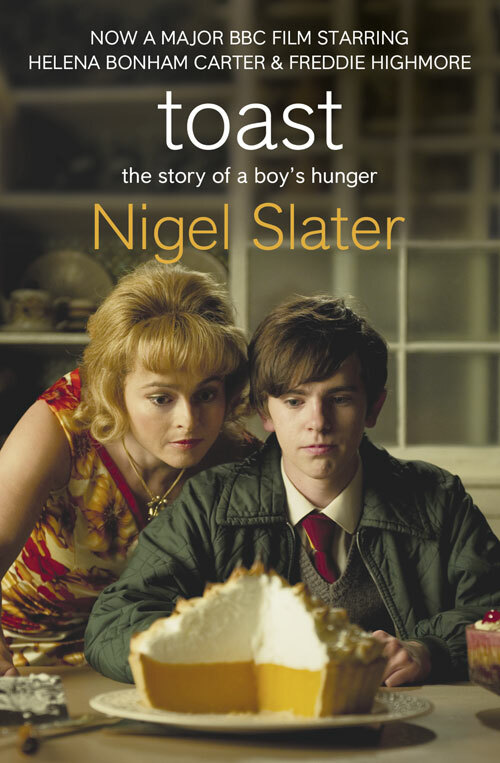 When his dad (Ken Stott) starts flirting with the cleaner Mrs Potter (Helena Bonham-Carter), older Nigel (Freddie Highmore) starts competing with her for his father’s attention – through food. Toast is a very sweet movie with a very good cast and an even better script. 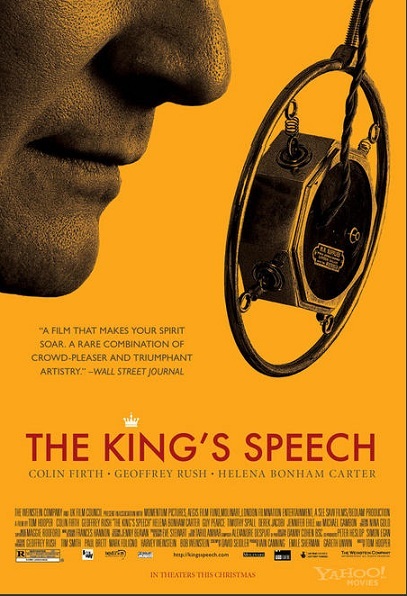 It’s got just the right amount of 60s nostalgia, a nice sense of humor and generally makes for a pleasant watch.